The Victorian Government is set to trial the national disability insurance scheme, the Minister for Community Services Mary Wooldridge has announced - but not until 2014. The Victorian Government is set to trial the national disability insurance scheme, the Minister for Community Services Mary Wooldridge has announced – but not until 2014. The Victorian Government has offered to trial the National Disability Insurance Scheme in 2014, to test out the concept ahead of the proposed national roll-out in 2015. Speaking at the National Disability and Carer Congress in Melbourne recently, the Minister for Community Services, Mary Wooldridge said the new model would cut waiting times for those eligible for disability support payments,according toan ABC News report. 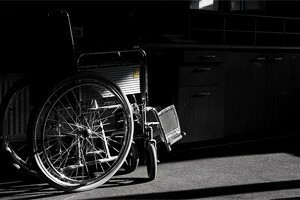 She said this would change the welfare-based disability support system into an entitlement-based support system. However the funding of the national scheme, which is expected to cost more than $12 billion per annum, and how much will be paid by the federal and state governments, is still unclear. Australian of the Year Simon McKeon joined over 1000 disability activists in Melbourne in Melbourne this week to launch a campaign for a National Disability Insurance Scheme. The ‘Every Australian Counts’ campaign was launched at the The National Disability and Carer Congress. The campaign calls on state and federal politicians to back a National Disability Insurance Scheme to provide real support and independence for people with disability. In his opening address to the conference, McKeon said the NDIS is the best chance of ensuring people with a disability and their families finally get the support they need to have a shot at an ordinary life. He said the evidence is out there about how desperately hard it is for people with a disability, their families and carers to have the same kinds of opportunities that the rest of the community simply takes for granted. McKeon called on all Australians to get behind the landmark NDIS. Every Australian Counts campaign director John Della Bosca said momentum was building behind an NDIS, with the recent Productivity Commission draft report showing the idea was economically feasible and would deliver benefits to the entire community. Della Bosca said the Federal Government must respond to the Productivity Commission’s final report in five months’ time. This is an extraurdinary leap – to provide a National Disability Insurance Scheme, however I must question why it has taken so long and why it isn’t going to actioned till 2015. I am a parent/carer of a child who was born with severe developmental delay and although I love him, his condition has taken a toll on our family unit. We are in desparate need of this kind of support and I feel there are many families like us in the same situation who would benefit NOW from this scheme.